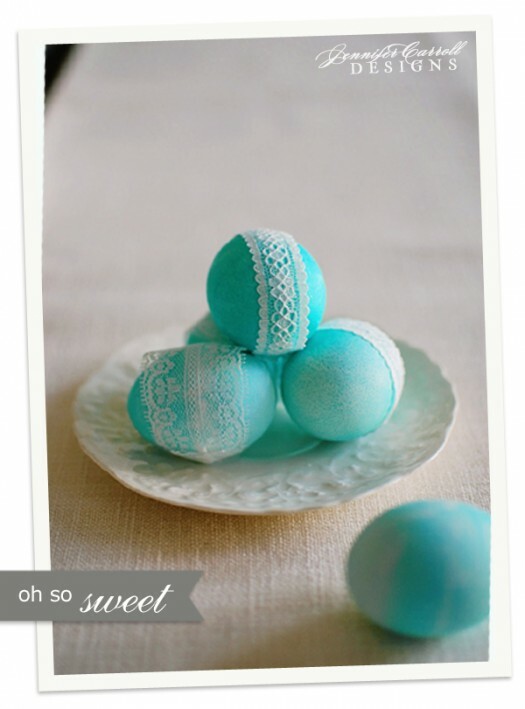 My Favorite Ideas for Decorating Easter Eggs! 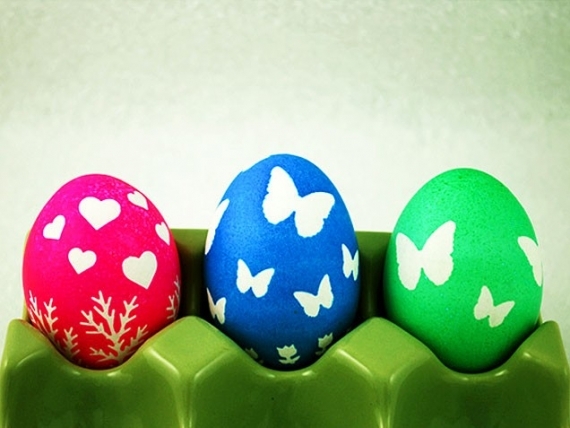 For me, along with its spiritual meaning, Easter is always the official kickoff to Spring! Flowers are blooming, bunny and chick motifs abound, and lovely pastels make winter seem oh so far away! Plus, there are plenty of wonderful traditions, a few of which I learned more about last year. But, out of all the traditions, my favorite has to be decorating eggs!!! 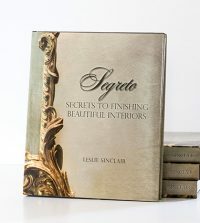 No doubt my excitement for Easter eggs stems from my obsession with all other finishes – plaster, murals, stencils, aged finishes, and all manner of decorative painting!!! It’s like having a mini canvas to play with new finishes! I shared a few cool Easter eggs I found in 2014, and this year, I wanted to go a step further and bring you more ideas for “finishing” Easter eggs!!! 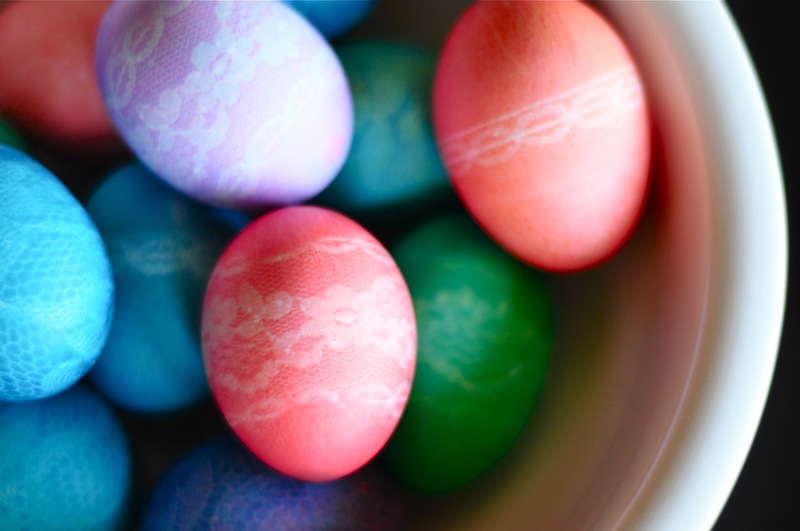 For a sophisticated look, dye your eggs in just one color and leave them in for various amounts of time to get a range of different shades. 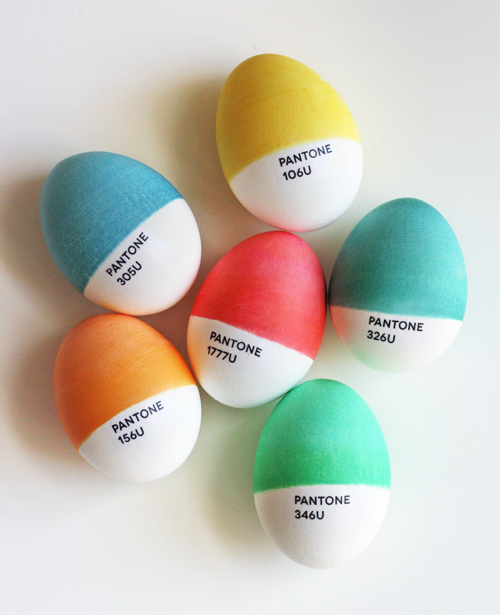 These ombre eggs are almost too pretty to hunt! I love the Sugar & Charm has used them for a table centerpiece, graduating from light to dark!!! Have you ever used washi tape before? 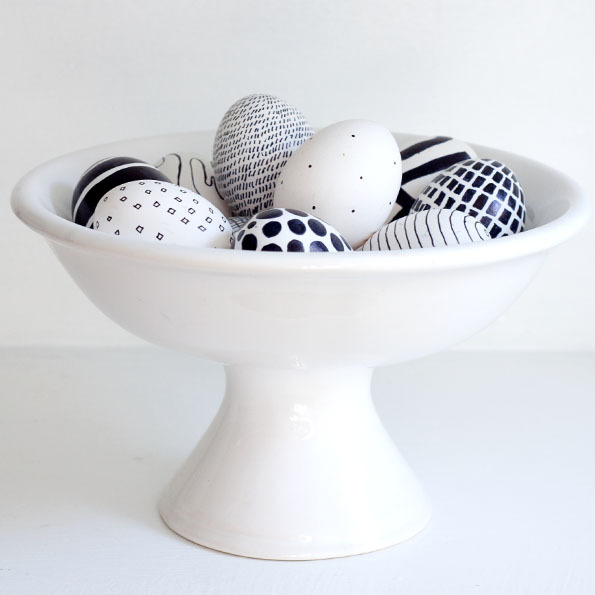 You can cut out different shapes and apply your patterns on the egg, just like these from Lovely Indeed. No messy dyeing required! 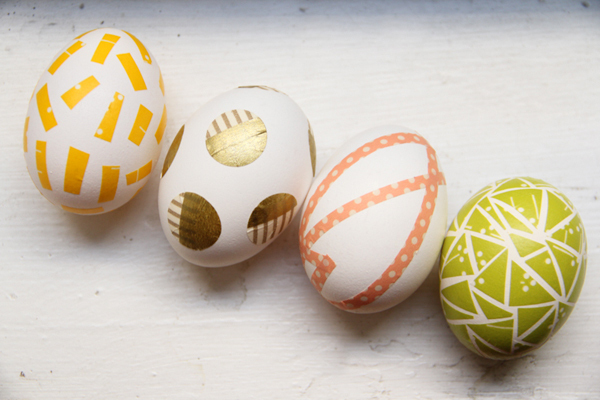 If you want a super easy kid-friendly project, you can just add a fake tattoo to your eggs! You might end up with a couple tattooed kids too!! Another great idea for the dyeing-averse!! These eggs from Obviously Sweet were the product of a permanent black marker and some imagination. You could customize with kids’ names or create your own mini-mural! 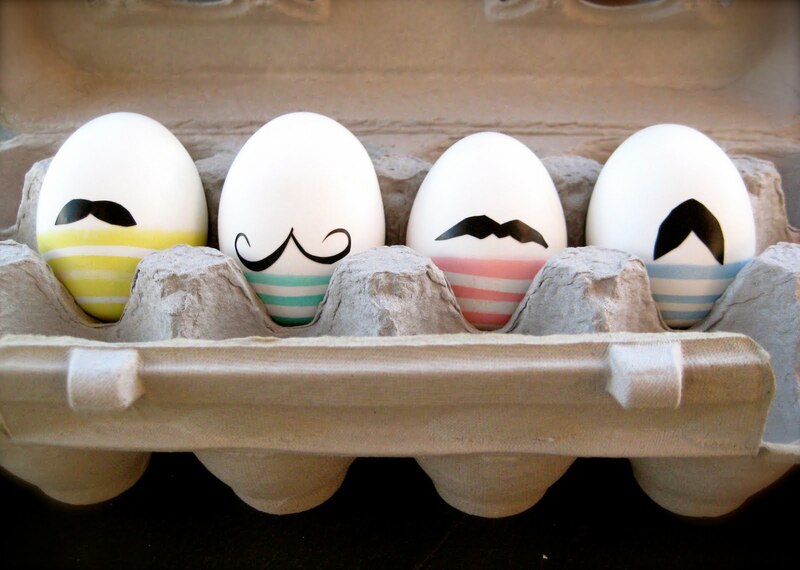 Give your eggs a debonair look with permanent marker mustaches! Too funny – I can imagine the kiddos just loving these!!! How could I not fall for these?!? 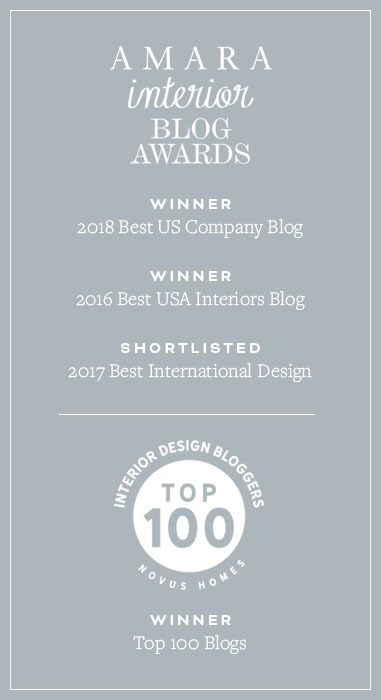 I have How About Orange to thank for this creative idea… I’m thinking I could do the same thing with Sherwin-Williams paint colors!!!! Silk neck tie eggs!!! Does your husband have some awful ties he won’t get rid of? 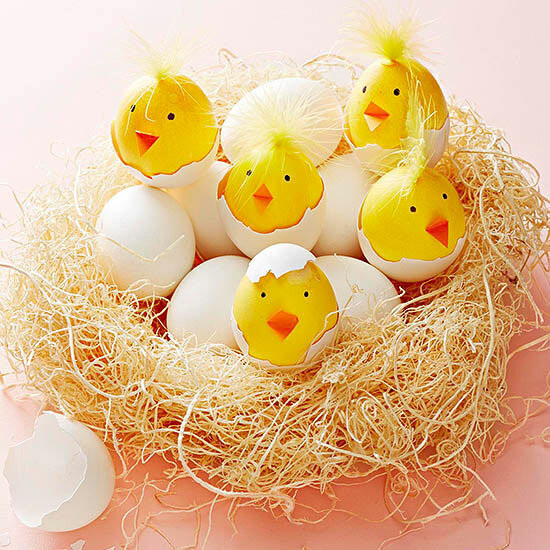 Put them to better use by transferring the pattern onto your Easter eggs… these are gorgeous! You can follow the instructions on Boulder Locavore – be sure to start with raw eggs since you’ll be boiling them as part of the transfer process! A similar process was used for these creations! 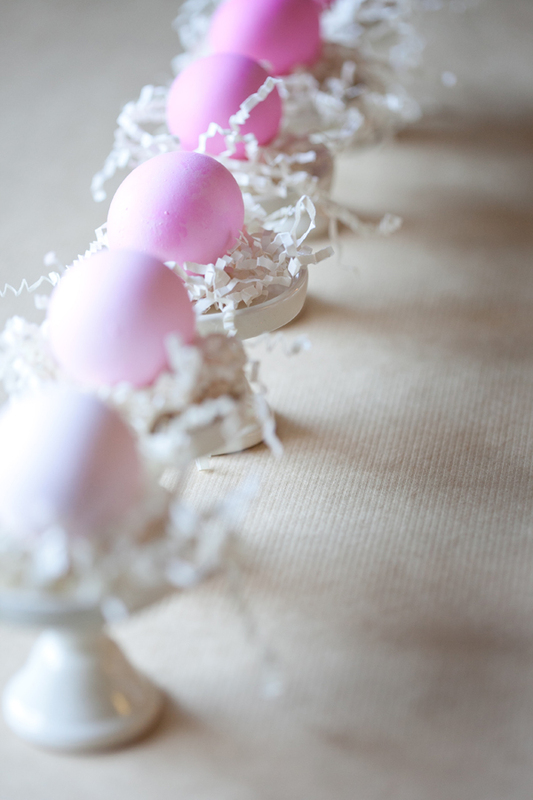 To create the pretty lace pattern, the eggs were wrapped in lace and then dyed. Reminds me of so many of the subtle stencils we’ve done on walls!!! Or you can simply use lace as an accent! Natural dyes are the perfect way to go if you want to create rich, earthy tones which can be hard to find in chemical dyes. These were made from beets, red cabbage, spinach and more!!! 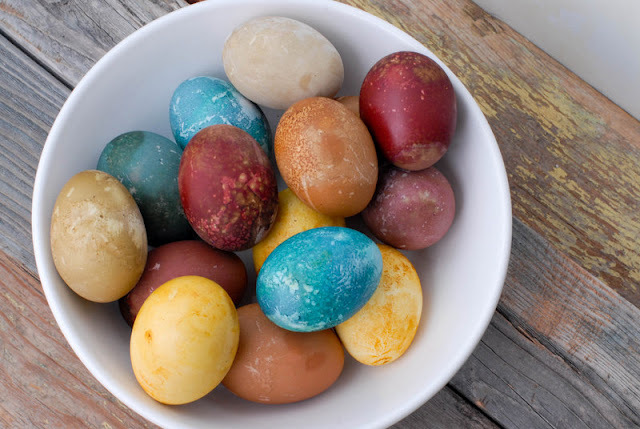 Take the naturally dyed eggs to the next level by attaching ferns, leaves, flowers and other natural elements before adding them to the dye pot!!! 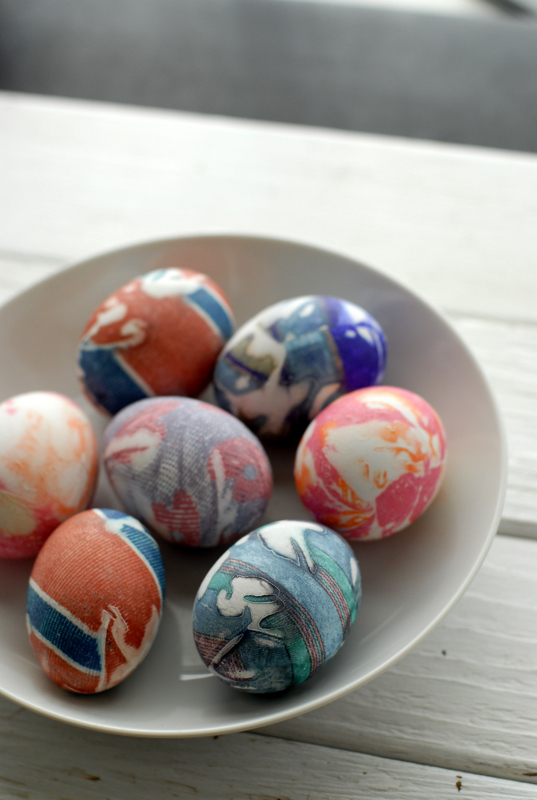 These resist-dyed eggs are a great option for a foolproof project to do with kids!!! 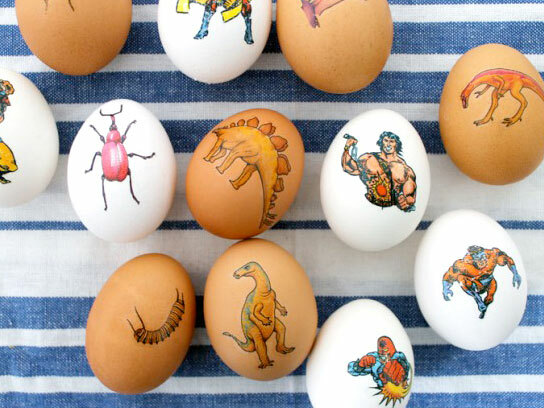 You slap on some stickers, dye the eggs, and then peel the stickers off. It doesn’t get any easier than that, and the results are super cute!! 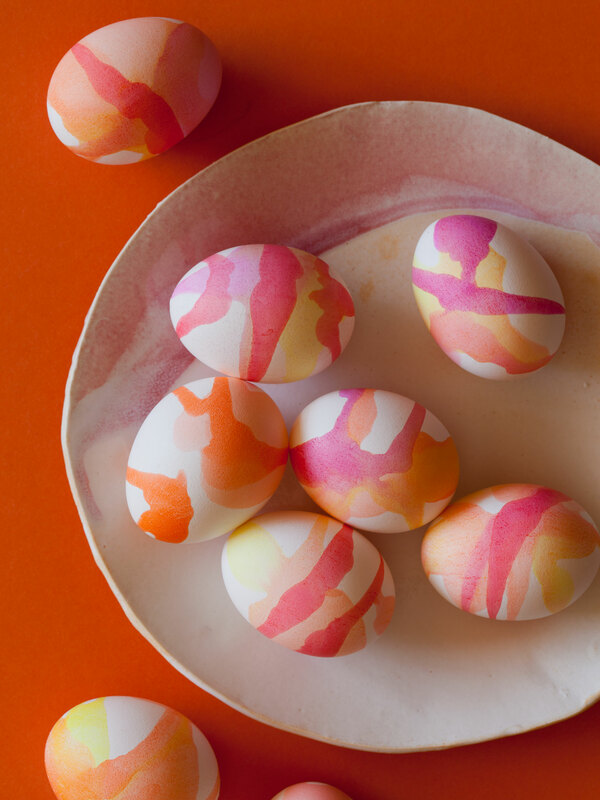 Abstract watercolor eggs! As long as you stick to similar colors, you can’t go wrong!!! Check out the tutorial over on Spoon Fork Bacon. Don’t stop at stencils! 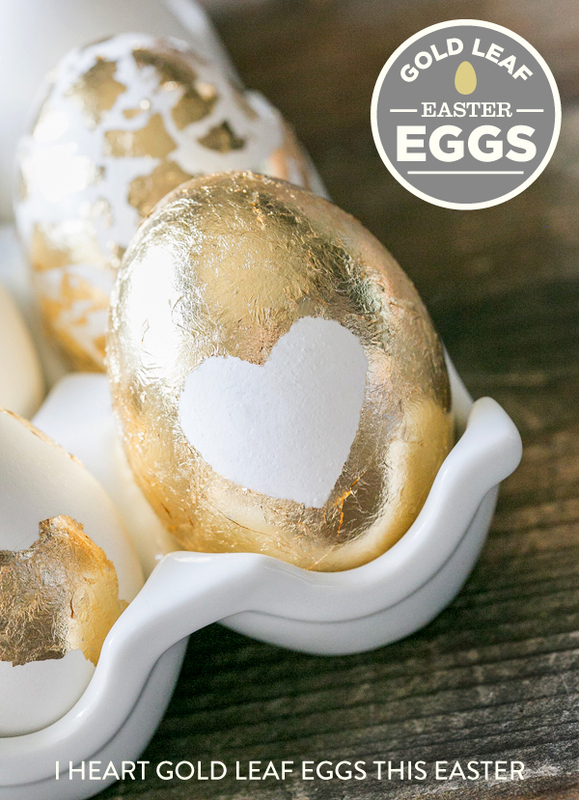 Gold leaf – one of my favorite treatments – can also be applied to eggs for a bit of metallic bling. You may never find a goose that lays a golden egg, but you can still have a golden egg!!! I hope you all have a beautiful and blessed Easter weekend and enjoy the beginning of Spring! 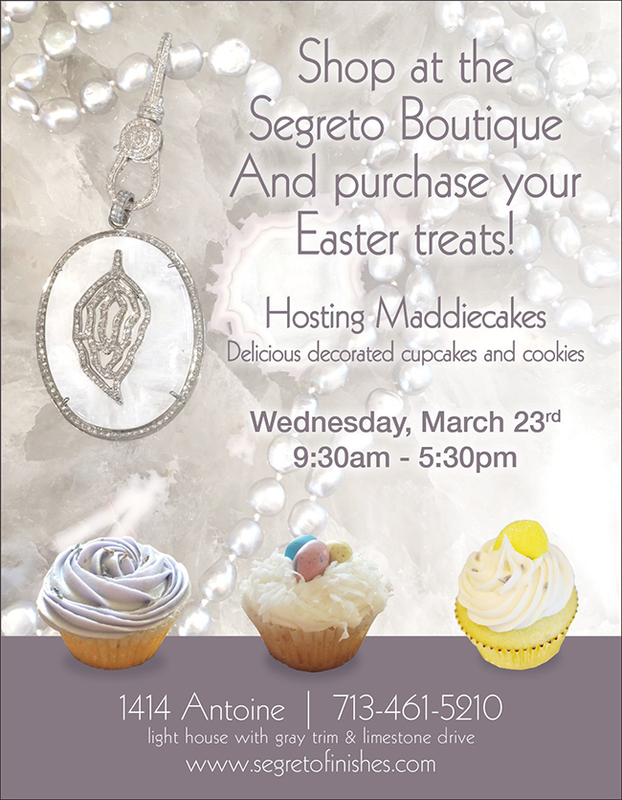 Come by the Segreto Boutique on March 23rd to Stock Up on Special Easter Treats!!! Join us on Wednesday, March 23rd as we host Maddiecakes!! 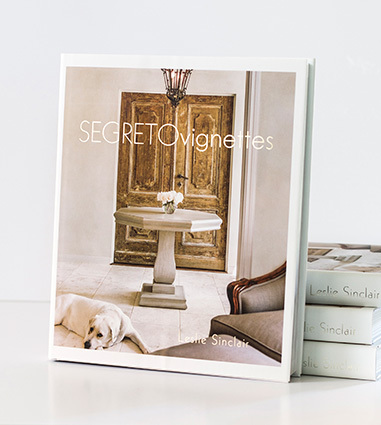 Get your Easter gifts, decor and sweets all in one place! We’re super excited to have Maddiecakes treats available for purchase – their cupcakes and cookies are absolutely delicious, and they’ll all be beautifully decorated for Easter!!! Be sure to drop by! Have a great week!!! Till next week! 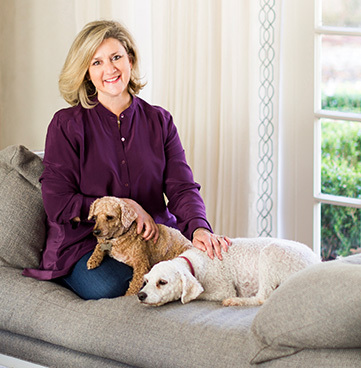 << A Home Full of Whimsy!!! 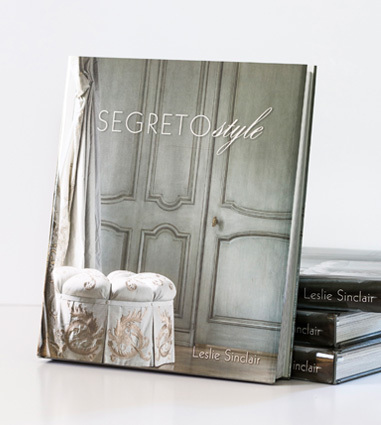 Leslie you how so many artful and creative ideas here! 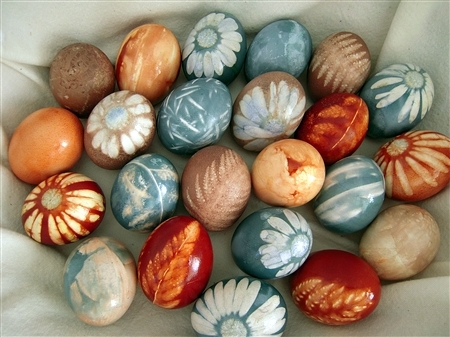 I love the eggs dyed with silk ties!